The Chaudière Falls are located at the heart of Canada’s capital just upstream from the Parliament Buildings. 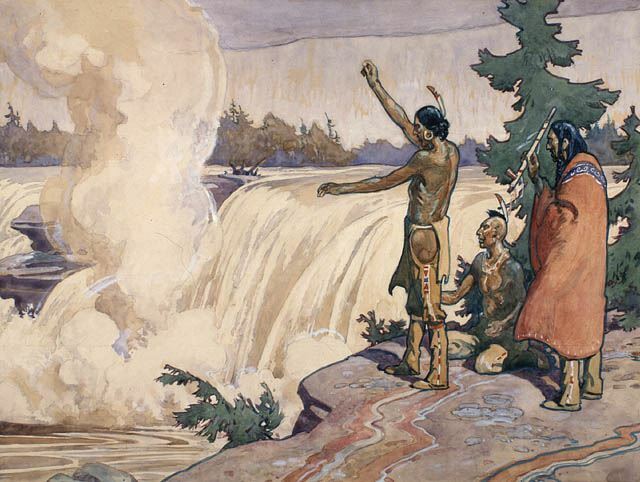 In earlier times the Falls were a major portage on the canoe route up the Ottawa River and were a site of trade and sacred ceremony. Samuel de Champlain described tobacco ceremonies at the Falls in 1613 while travelling the Ottawa River with Algonquin guides. In the nineteenth century, after the advent of settlers, the area was heavily industrialized. Today, with heavy industry departed, the Falls have had a recent significant addition to their hydro-electric capacity and currently the surrounding islands and shoreline are slated for a major condominium development. However, the sacred status of the Falls and neighbouring islands was re-affirmed in recent decades by revered Algonquin Elder William Commanda. While some Algonquins, and their non-Indigenous allies, are agitating for the return of the site to the Algonquin peoples and the re-wilding of the Falls through dam removal, other Algonquins fully support the presently-slated condominium development on surrounding islands. The current controversy over the fate of the Falls instantiates wider debates about environmental and cultural renewal and the possibility of a sacred site in a modern urban setting. 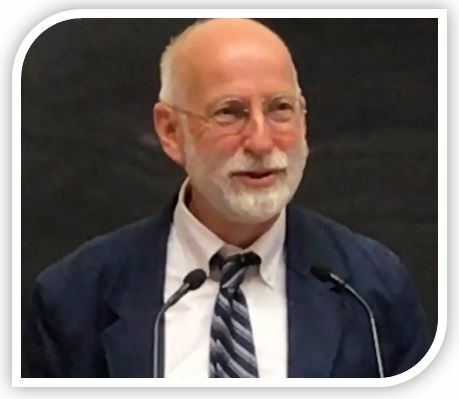 Currently an associate professor at Carleton University, Noel Salmond was educated at Upper Canada College, Bishop’s University, and the Nova Scotia College of Art and Design. He then went on to earn an M.A. in the History and Philosophy of Religion at Concordia in Montreal. He studied Christian theology and then Sanskrit at McGill University obtaining his doctorate in Asian religions in 1999. Professor Salmond also studied South Asian art at the School of Oriental and African Studies, University of London, and he held an internship in the Department of Oriental Antiquities at the British Museum. He has been a faculty research fellow with the Shastri Indo-Canadian Institute in India and a Fellow of the Royal Asiatic Society. For the last decade, he has followed the post-industrial fate of the Chaudière Falls and surrounding islands with concern.